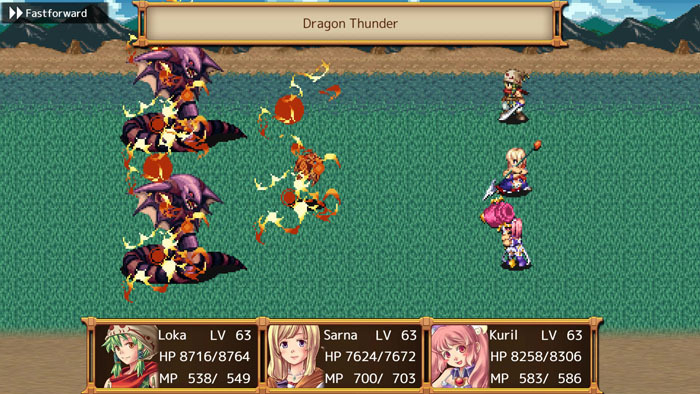 Developed by Hit-Point and published by KEMCO, Chronus Arc is a solid budget RPG in many ways, but is it worth the cost? We think so, continue reading our review to learn why! The story in Chronus Arc is relatively straightforward and cliche, however it is still quite enjoyable despite not doing anything in its story that hasn't been done before. 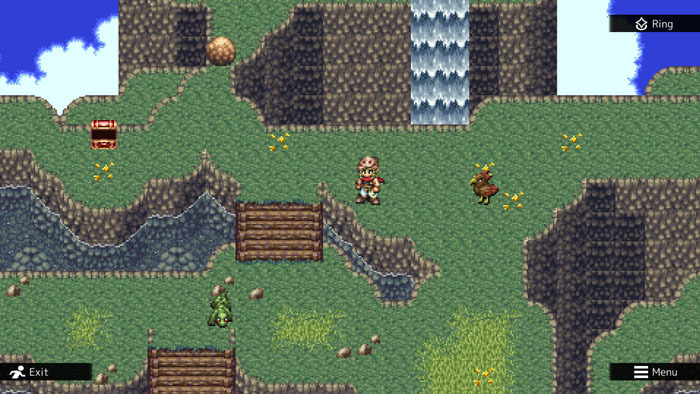 The gameplay is also standard JRPG fare which oozes with retro goodness, between it's retro visuals and soundtrack as well as its turn-based battles and simplistic gameplay mechanics that would feel right at home on a home console of the early to mid 90's! The gameplay is superb, but does lose some points for playing it safe and not doing anything unique, but it's still highly enjoyable! Item collection plays a big role in Chronus Arc and the game does a good job at making the grind to complete your collection quite fun! The controls in the game are also simple and easy to master as expected from a game that emulates the style of the 16-bit classics we all know and love! The game can be quite difficult later on though if you've played any major SNES JRPG this will hardly pose any trouble with beating the game! 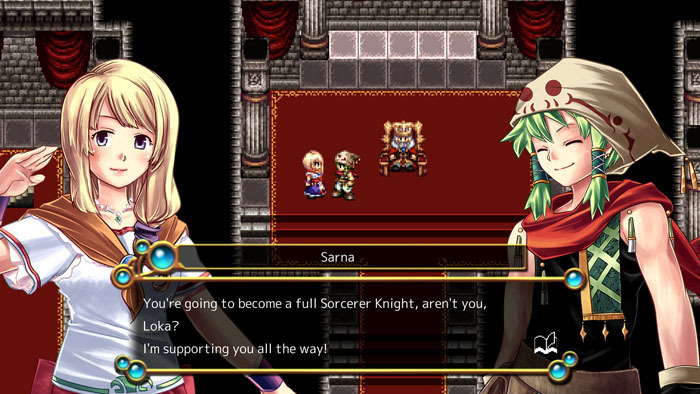 Also Chronus Arc is cross-buy and the Vita version PSTV compatible which is always good in our book! Visually the game looks great in all of its 16-bit glory and the visual novel style story scenes look nice as well, but it's no SNES Final Fantasy or Chrono Trigger so don't expect it to look as good as the best games of the 90's, regardless it still looks nostalgic and should bring back memories of playing the classics of yesteryear. The soundtrack on the other-hand is hit and miss and more so miss. It's easily the weakest aspect of the game . The sound effects can be quite annoying as well, so unfortunately overall the audio presentation is below average. 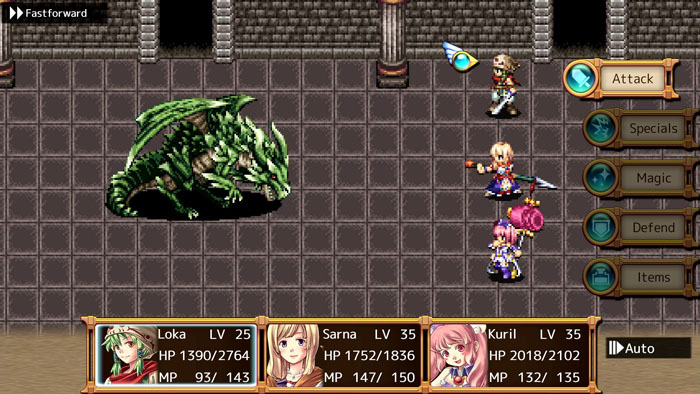 With great visuals, excellent controls, and a good story that is fun to see play out, although it's somewhat cliche and predictable as well as gameplay that's great, but doesn't do anything new or unique, Chronus Arc is a worthy budget JRPG that's worth giving a shot if you enjoy JRPG's from the SNES era, but the annoying sound effects and lacklustre soundtrack do hold the game a bit, but overall we give the game a decent to solid level of recommendation! @Megatron2000 Thanks and welcome back! Great review! I love this game despite the flaws!